Is winter even better than summer? It’s a conversation that is always a win/win, for in winter Twin Pines becomes a cozy base camp for snowy adventure. Owners will keep skis and boards here and step into warm boots for outings at Heavenly. And rest assured, we’ll shuttle you those four short blocks to the gondola. And when you return, you’ll return to a crackling fire, a warm drink and even warmer company. Step into warm ski boots and, minutes later, onto the slopes. 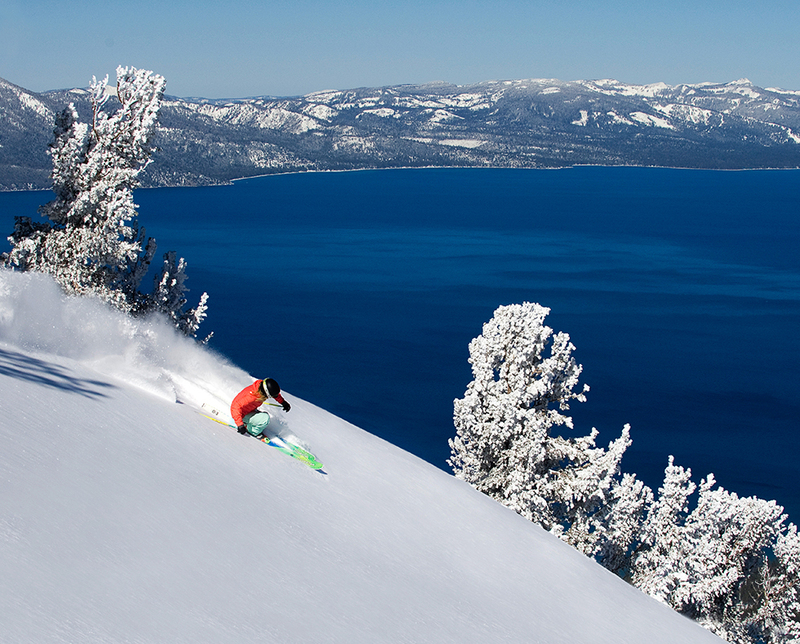 Aptly named, Heavenly’s 10,000 feet are Tahoe’s peak elevation and best snow. 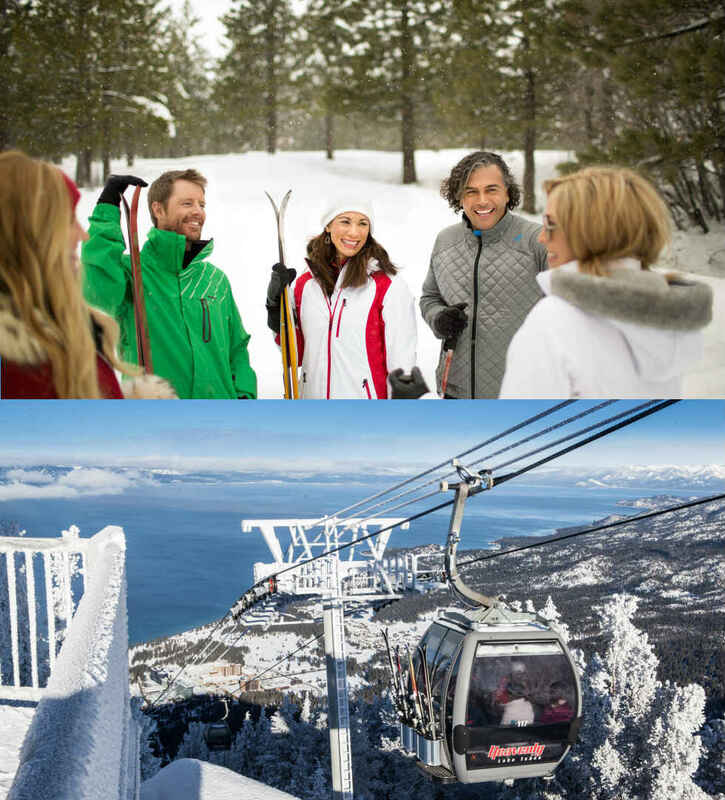 Its 30 lifts and 100 trails crisscross California and Nevada from four base facilities. And with one of America’s largest snowmaking systems, the ski season usually runs from mid-November to mid-April. And from every vantage, spellbinding views of Lake Tahoe. There’s another word for it: Awesome. The wide porch, fireplace and firepit deck at the Clubhouse welcomes in every season, but especially so in the cooler months. 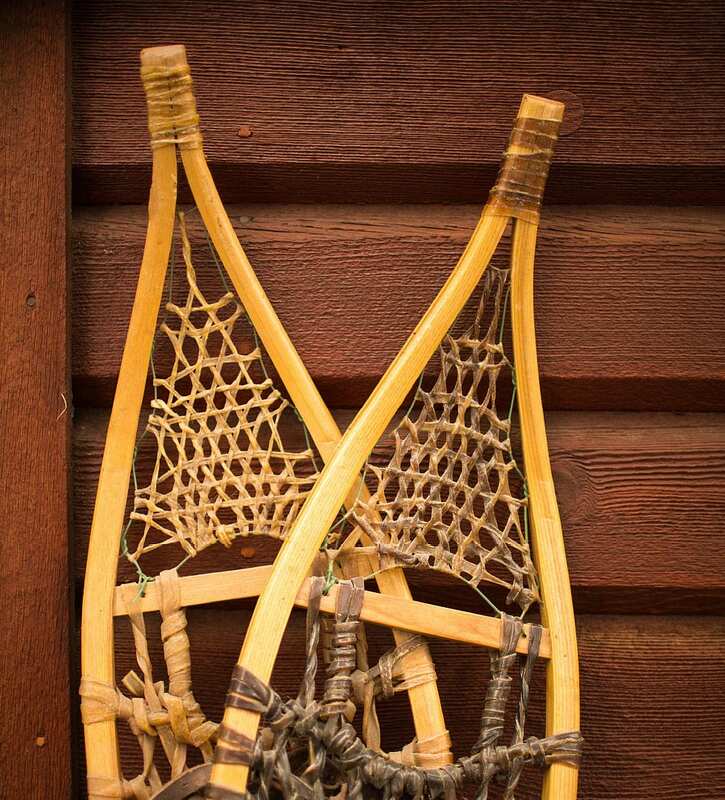 Depending on the weather, members will set out to enjoy the trails on foot, snowshoes or cross country skis. This is a place to connect with neighbors, share a warm cup or a light meal, and generally enjoy what Thoreau described as the best thing one can be – a friend to a friend. We have your skis and gear stored and tuned for you … ready and waiting for days at Heavenly – just four short blocks away. Don’t worry, the shuttle is waiting. From the top of any of the ski resorts that ring the lake you’ll hear people say this is the bluest lake, and bluest sky they’ve ever seen. Our 300+ days of sunshine are but part of the story. 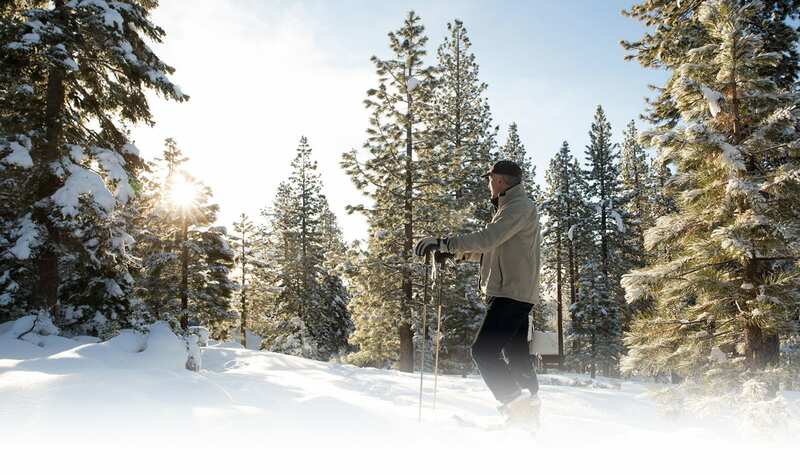 Clear Creek offers all the winter fun without the hassles – while the western facing slopes average over 300 inches of snow, Clear Creek averages just 30 inches – so you enjoy all the access without any of the headaches. The lighter snow loads also save on construction costs. 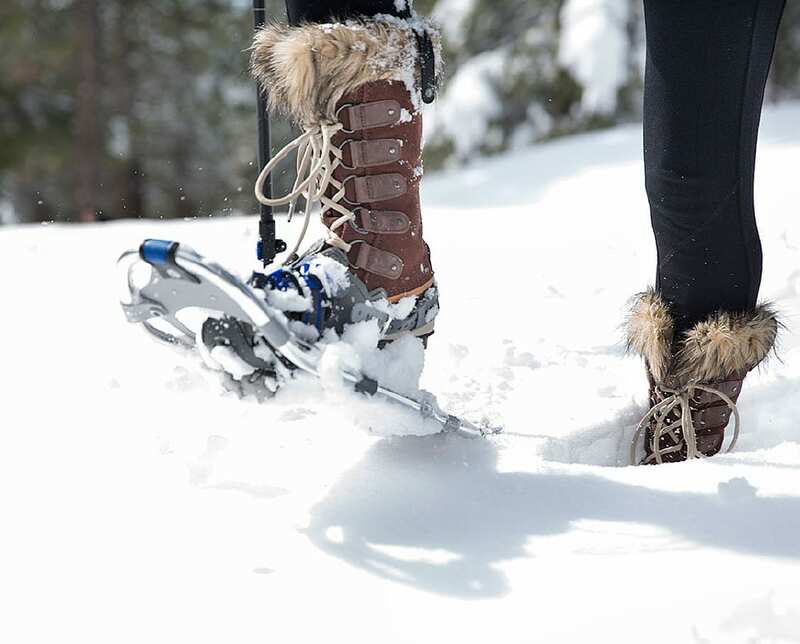 Tahoe’s true majesty reveals itself most intimately in winter and along paths less traveled. In winter the boughs and peaks blanketed in glistening white snow create an amazing, almost spiritual quiet. The quiet so missing in the modern world. It’s a digital detox. These are the roads of Frost and Thoreau and they are here, meandering through the open meadows that ring Spooner Lake, here, winding through Clear Creek’s Jeffery pines, here, right outside your door.